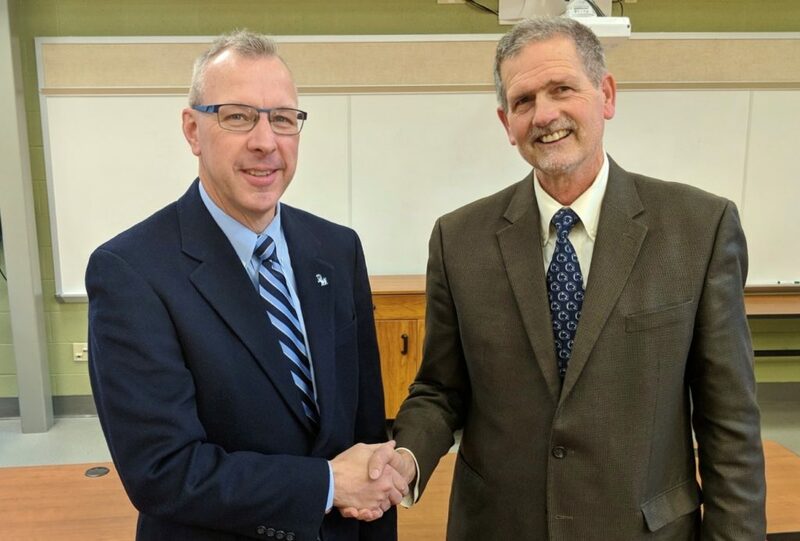 Congratulations to Penn Manor superintendent Mike Leichliter and school board director Chris Straub, who were recently appointed to leadership positions at the Lancaster County Career & Technology Center. Straub was named chairman of the CTC’s Joint Operating Committee, and Leichliter was named Superintendent of Record at the CTC’s Dec. 11 JOC meeting. The committee, which includes school board directors from the 16 Lancaster County districts whose students attend CTC programs, functions much like a school board. This is the first time in recent history that Penn Manor has held both the chairman and superintendent of record positions at the CTC, which enrolls more students from Penn Manor than from any other district in the county. For 2017-2018,162 Penn Manor students attend CTC programs. “The Career & Technology center has been such a positive experience for thousands of Penn Manor students over the years that Mr. Straub and I consider it both a privilege and an honor to serve in leadership positions,” Leichliter said. He and Straub will serve two-year terms. Mike Leichliter, left, and Chris Straub.